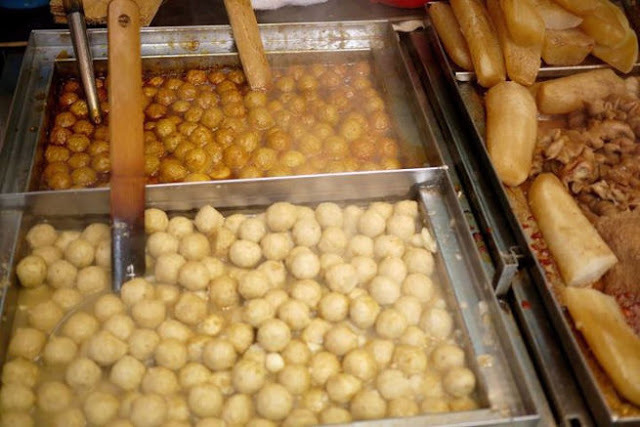 You did not visit Hong Kong until you try their legendary street food, the curry fish ball. In Kowloon, the best curry fish ball stall is located at the corner of Dundan Street and Sai Yeung Choy Street. The name of the stall is Kai Kei. It doesn't have English signboard but the stall is hard to miss. Just follow your nose to the stinkiest smell (somewhat like a dirty drain smell), you will come to a corner stall packed with people. Even the locals get their snacks here. Other than curry fish balls, the stall also sells the infamous chao tau fu (fermented beancurd). This is the smell that I said you should follow. 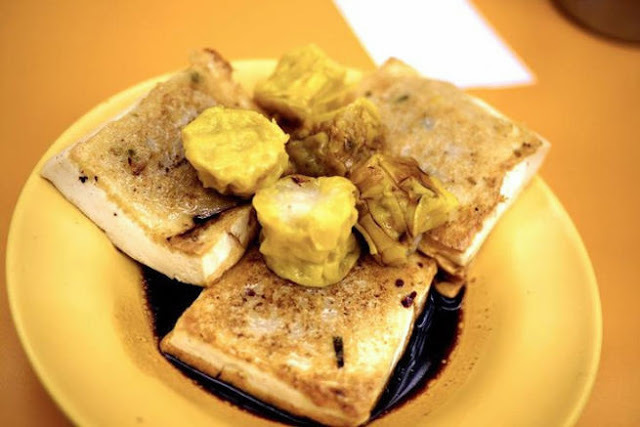 Having the same status as durian, the chao tau fu is not something which commonly accepted. It is either a love or hate relationship, nothing in between. The pungent smell is very strong and not very pleasant to foreign noses (including myself). 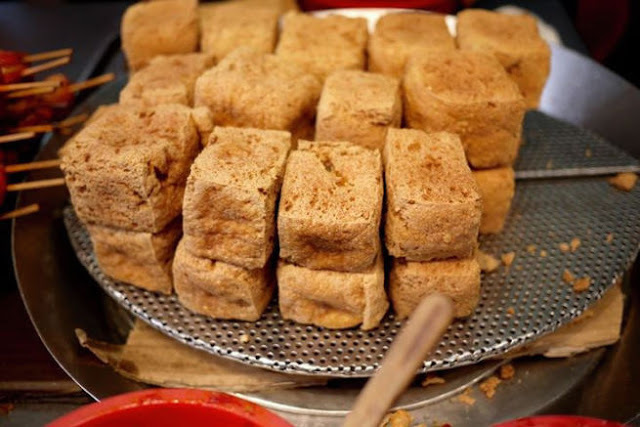 However, according to many testimonials, the tofu has crunchy texture and soft beancurd fillings which is addictive. It melts in your mouth and the taste is in between cheese and tofu. I will leave it up to you to decide if you should try it. Back to the curry fish ball, it is something which I strongly recommend. 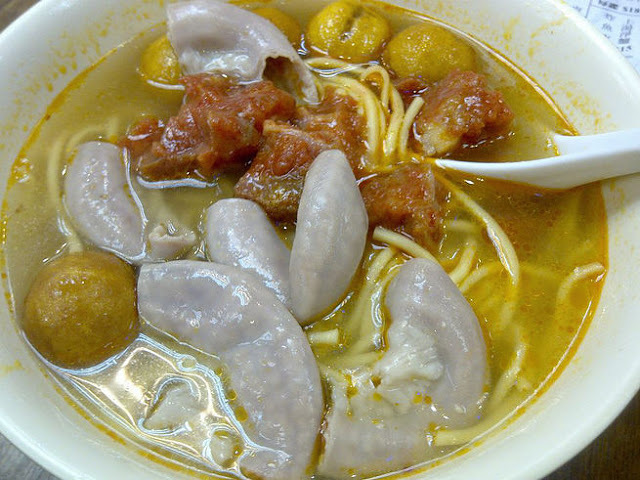 The curry is rich and thick, meanwhile the texture of the fishball is soft and bouncy. I ordered two servings because it was really good and addictive. Although Sai Yeung Choi Street is located at Kowloon, the nearest MTR station to the stall is Yau Ma Tei. While entering the subway, I spotted another street snack shop right next to exit A2 and made a pit stop. With my limited knowledge in Chinese, I managed to point the siew mai and a beancurd dish. It was surprisingly very good despite the look. The tofu is wrapped with a layer of fishcake, it is savory, soft and tender. I would recommend it if I can point out the name. Unfortunately I didn't recognize the Chinese characters. At night there are a lot of small shops underneath the crowded apartment in Kowloon that serves curry fish balls as well. Here you are able to order a bowl of noodles to go with it. You can add on other side dishes such as pork intestines. I know it sounds weird, but it taste heavenly. It has a chewy texture and each time you take a bite, the juicy from the soup oozing out of the intestine. 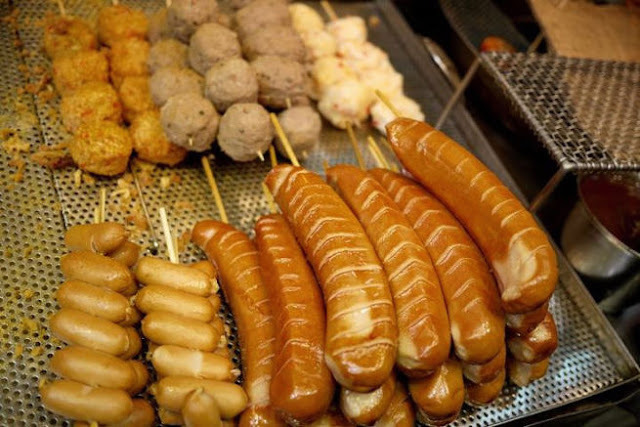 Those are the common street snacks you can find in Hong Kong. Do you have any particular street snacks you like in HK? Do let me know so I can try it out on my next trip.